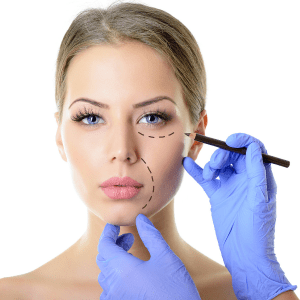 Cosmetic surgery is becoming more popular each year, with people undergoing various cosmetic surgical procedures to enhance their looks and boost their self-confidence. But imagine being able to get a more dramatic transformation. That’s possible by combining cosmetic surgery procedures. Advances in surgical procedures and technology, along with increased safety measures are making it more common and attainable. You might be surprised to learn about the many benefits of combining these surgeries. There’s no debate. Undergoing more than one surgical procedure at a time will take longer, but you’ll actually save time in the long run. Say you’ve decided to get liposuction, breast augmentation, and a breast lift. Imagine having to take off work or clearing your and/or your family’s schedule, time and again, for each procedure. And then there are the multiple pre-op hospital visits, blood work appointments, and lots of anesthesia, along with added risks. When you combine procedures, you’ll tremendously cut down on your time away from your normal life. With surgery comes pain, discomfort, bruising, or swelling – natural occurrences with most invasive cosmetic surgeries. But multiple, individual surgeries mean that you’re repeatedly putting your body through that trauma. Your body has to heal each time, which is even more time-consuming. This can be avoided by combining surgeries. With each surgery you undergo, you spend more money. It’s going to happen. But here at my office, you’ll know exactly where your money’s going. There are no surprises when it comes to fees, and I actually list our fees here on the website. Many practices split their fees into the surgeon’s fee, a separate fee for the anesthesia, and a further separate fee for the operating room facility. For most of my procedures, I offer an all-inclusive price for appropriate healthy candidates. I also want to point out that discounts may be offered with combined procedures, where appropriate. When I hear the phrase, combining cosmetic surgery, a Mommy Makeover or “postpartum restoration” comes to mind. A Mommy Makeover can restore a woman’s body after she’s given birth. Depending on the effects of childbearing, it may include a lift, augmentation/implants or reduction, a mini or full tummy tuck or liposuction. The Mommy Makeover is very popular among my clients. Who’s a Good Candidate for Combining Cosmetic Surgery? You must be in overall good health. I perform a number of treatments, and procedures – both surgical and non-surgical. With any procedure, I do a thorough examination of each patient to make sure they’re a good candidate for any procedure. Safety is always at the forefront of anything we do here. Contact us or call the office today at 301-656-6398 and make an appointment for a free one-on-one consultation. We have three locations conveniently located near you: Rockville, MD – Annapolis, MD – and McLean, VA. We look forward to meeting you!